“My battery is low and it’s getting dark,” translated the ones and zeros beamed from Mars rover Opportunity back to NASA’s flight controllers on Earth, June 10, 2018. “Oppy”, as the little rover was known to those flight controllers and followers worldwide, never again responded to the “Opportunity, Wake Up!” list (Beatles’ “Here Comes the Sun,” David Bowie’s “Life on Mars,” Gloria Gaynor’s “I Will Survive” among them). After a final attempt with Billie Holiday’s “I’ll Be Seeing You”, Oppy was declared dead this Feb. 13. Over millennia, origins long lost, most tribal cultures have held the world view that “Everything is alive.” “Everything” embraces not only humans and animals, but stones, bricks, mold, teddy bears, toxic waste, Martian rovers: everything. Easy for the modern world to dismiss as “anthropomorphism”, or “Pathetic fallacy”, but everything-is-alive permeates our modern lives. Bill Mauldin’s iconic WWII cartoon of a grieving soldier preparing to shoot his ruined Jeep with a .45; declutter guru Marie Kondo suggesting thanking discarded items for the service they have given; kintsugi, “golden joinery”, the Japanese art of reanimating broken pottery with seams of gold. Only in the mid-1980s were infants acknowledged to feel pain, frequently undergoing surgery without anesthetic. More recently we’ve learned that trees and molds communicate as earlier studies revealed the intricate social lives of bees and ants. Knowledge at the molecular level continues to grow, ever broadening our understanding of “alive.” Perhaps we will achieve the wisdom of our earliest ancestors. 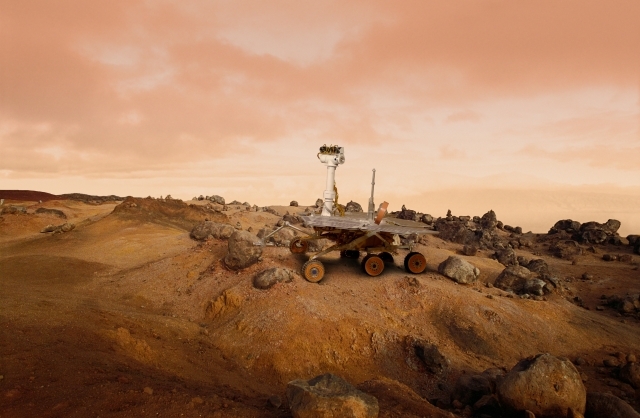 Three cheers for Martian citizen Oppy!